Driving without car insurance is never worth the risk, regardless of how little time you need to drive for. You can now take out car insurance for just one day quickly and easily, for occasions when you need to use a vehicle for a short period of time. Here, we cover the basics of one day car insurance, how much daily policies cost, and what requirements there are. How Much Does One Day Car Insurance Cost? When Do you Need Car Insurance for One Day? What Does One Day Insurance Include? Who Can Get One Day Car Insurance? One day car insurance is an ideal and affordable way of covering yourself in situations that do not require the standard, annual protection. Examples include one-off occasions such as insuring a borrowed car to move out of university or hiring a vehicle for whatever reason it may be. Its benefits are near-enough identical to annual insurance policies but on a short-term basis, and can often be taken out for both cars and motorcycles. Occasionally, some annual fully comprehensive insurance policies include a ‘drive other cars’ additional option, which often only offers third-party insurance and may not cover you as well as a one-day, comprehensive policy would. This isn’t normally added to your policy unless you opt to pay an additional fee, but be sure to check for it before taking out one day cover. Some people choose to be added as a named driver, but that is a considerably more expensive option and the person who owns the vehicle is likely to lose their no claims bonus if you crash their car. Contrary to being a named driver, should you take out a one day car insurance policy and have an accident, the owner of the vehicle is very unlikely to lose their no claims bonus with most reliable insurance companies. Your own annual policy’s no claims discount is also unlikely to be affected by an accident while insured on one day car insurance, meaning that you could save even more money in the long-run. The price of one day car insurance in the UK can be an average of around £25-45 a day, depending on the vehicle, your driving history, and the reason for taking out the cover. It is worth noting that the cost of temporary one day car insurance can vary significantly between companies, so try not to rush into buying the first policy you come across. Our dedicated team of advisers are at hand to help you find the cheapest one day car insurance, without the hassle of trundling through comparison sites, so be sure to give us a call today for your free quote. It is an affordable alternative to being added as a named driver on a policy, and is hugely convenient in a number of situations as listed here (link to h2 anchor below that lists them). To provide you with a clearer idea of the price of daily insurance for some drivers, we conducted a short case study. Based on a 21-year-old driver with four years’ driving experience, insuring a Toyota AYGO for one-day emergency cover would cost £36.98. For the same emergency cover of the same car, it would cost a 33-year-old driver with 10+ years’ driving experience a cheaper £29.01. Both included a voluntary excess of £250, which lowered each price by around £2. Your voluntary excess is likely to decrease the amount you pay initially for the policy, so raising it to £500 would further reduce the cost. However, it’s important to remember that you will have to pay that amount towards damages should you be involved in an accident, so don’t offer an amount you wouldn’t be able to afford. Breakdown cover can be added at an additional £1-2 a day on average, which may be worth considering if you plan on travelling a fair distance. When Would you Need Car Insurance for One Day? Temporary car insurance allows you to take out a policy without any long-term contract commitments, with cover from anywhere between one day and 28 days being included in the short-term bracket. Car insurance for one day is usually on a comprehensive cover basis, meaning that you get extensive cover rather than just a third-party policy. 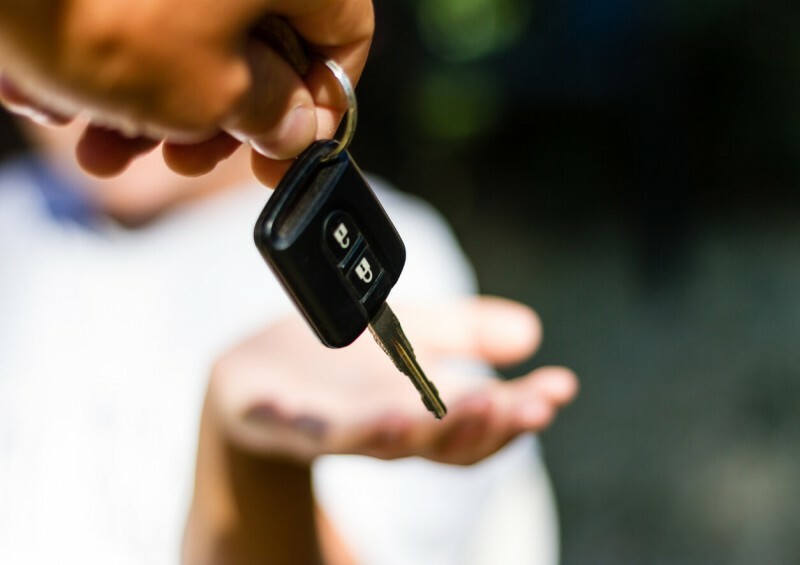 You are able to buy insurance as and when you need it, with no commitments and certainly not at the price of adding a full policy if you only use the vehicle on rare occasions. Daily car insurance policies also typically provide basic cover while driving in Europe and can be purchased instantly for cover on the same day, the following day or even a scheduled date in advance. Who Can Take Out One Day Car Insurance? To begin the process of your quote, all you need is a driving licence, your name and address, details of the vehicle, and the date and time you want the policy to begin. Most comparison sites can provide a general quote in around two minutes, but for a more detailed and personal quote for your own situation, get in touch with us and we’ll work to find the best deal for you. Companies differ slightly in terms of the wording of their policy, which is why our insurance advice service can be of such great use by saving you valuable time and effort. Does the Driver’s Age Matter? Due to each company differing, there isn’t a clear answer to how old you have to be to take out one day car insurance cover. However, most require the driver to be aged between 19 and 75-years-old but there are options for all drivers. While some companies have a requirement that drivers must be over 21-years-old, others provide one day car insurance for new drivers – including 17-year-olds – and even learners. Daily insurance, as is the case with most types of car insurance, is more likely to be cheaper for drivers over the age of 25. So, generally, your age will impact the price of the policy but no matter what your age or experience of driving is, we will be able to find an insurer to provide you with a policy. The value of the car is also a factor closely considered by car insurance companies in the UK, with many policies having a maximum value of £40,000 to £50,000, meaning that super car rentals are out of the question through most insurers. The majority of policies also include a minimum value that will be stated clearly on the policy quote, averaging at around £800 to £1,500 depending on the company. Can I get One Day Insurance if I have Points on my Licence? You are likely to be rewarded with a cheaper price if you have no previous claims or points on your licence, but if you do, look out for the terms and conditions which may exclude drivers with a certain amount of offences or claims. Some policies will only allow drivers with up to six or seven points and up to two claims in the last three years – again fluctuating between each company – so make sure you are eligible in those terms. You should also be wary of the compulsory excess for the policy which generally ranges from around £350 to £500 and is separate to the voluntary excess that you deicide yourself. What About Longer Types of Insurance? You are able to extend your policy on a daily basis, but bear in mind that the longer you use daily insurance covers, the more expensive it will get. Remember that short-term, temporary car insurance usually lasts anything up to 28 days, so plan accordingly. If you feel you may use the car for longer than a month, there are other long-term solutions, just get in touch with us for more information. It’s also important to note that if you do decide to take out an annual contract but intend on cancelling it before the expiry date, you are likely to be hit with a fee of around £80. Here at Compare UK Quotes, our expert advisers offer information regarding all your insurance and money-saving concerns. We can provide you with the best one day car insurance deals for your personal situation, by using your requirements and needs to find the policy for you. Give us a call or simply complete our short contact form here and we will be in touch at a time convenient for you.